Australia has one of the strongest honey bee surveillance program in the world, with 170 closely monitored beehives at 32 ports across Australia providing an early warning system for exotic bee pests and diseases. In the wake of a recent varroa mite detection in an incoming ship to the Port of Melbourne there is a high level of surveillance occurring in strategically placed sentinel hives around the port. The National Bee Pest Surveillance Program, established in 2012, uses a range of surveillance methods at Australia’s riskiest sea and air ports where bee pests and pest bees are most likely to enter. 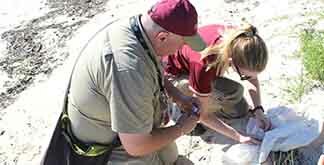 It involves the cooperation of Australian Government biosecurity staff, state apiary officers and beekeepers. 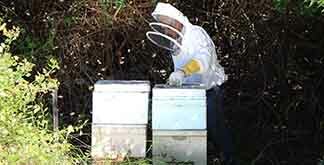 Every six weeks program staff inspect sentinel hives for 16 exotic bee pests, including varroa mite. Other officers also capture and check any bee swarms found around port environments and use butterfly nets to carry out floral sweep netting to capture possible foraging exotic bees, or regionalised pests like Asian honey bee and bumble bees. The surveillance program, funded by Hort Innovation’s Pollination Fund, ten pollination dependent industries, the Australian Honey Bee Industry Council, and the Australian Government, had a $2.5 million funding boost in late 2016 to support increasing surveillance at more ports. In addition to national port surveillance, beekeepers need to monitor their hives for signs of problems, including exotic pests like varroa. In consultation with the bee industry, Plant Health Australia has developed a Code of Practice to assist professional and hobby bee keepers manage their hives and monitor for exotics. Early detection greatly increases the possibility of eradicating a pest before it has a chance to establish and spread. 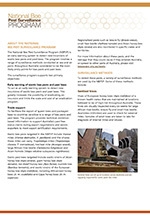 If you see something unusual in your beehives contact the Exotic Plant Pest Hotline on 1800 084 881. NOTE: this video says that “there are over 140 sentinel hives” but the number was increased to 170 sentinel hives in 2017 (after the video was made).